A neat demonstration of using common table expressions to provide extra assistance to other queries. Postgres is great but it doesn’t solve all data problems. Here’s a balanced perspective of how Postgres wasn’t working in every aspect for one team, but still remained a key part of their stack. One issue that comes when running Postgres at a high scale is managing large numbers of database connections. Here we see how to assess your connection count number and what to do about it. One Preschool is making preschooling both accessible and practical throughout the world. 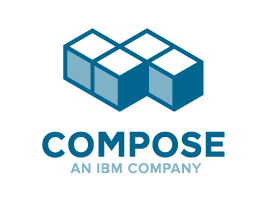 We spoke with them to hear about their startup, mission and how they are using Compose hosted PostgreSQL and Redis to make this happen. PGDay UK is coming up again in several weeks - the schedule is live and if you’re in Europe it’s worth checking out. In the continuing series about Postgres stats is a look at data Postgres keeps about sequential scans and autovacuum. Who Contributes to Postgres Development? Robert Haas went through Postgres’ 2016 commit log to see who the biggest contributors to the project are. Last year Uber switched from Postgres to MySQL, here Christophe Pettus goes through the reasons why. The benchmarks are by the Crate team themselves, but the open source distributed SQL database may be worth investigating for certain use cases. Hands-on workshops, DBA/developer tracks at Postgres Vision. Attend for $200 off with code PGWEEK by May 19.